I’m heading to San Diego to attend the Annual Society of Biblical Literature meeting. I’m meeting with former and future publishers, scholars, and a variety of former students. One of my duties while there is to preside over a session of a program unit called The Extent of Theological Diversity in Earliest Christianity. The session will offer a panel review of Bart Ehrman’s new book, How Jesus Became God: The Exaltation of a Jewish Preacher from Galilee. 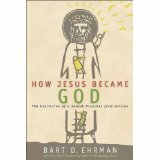 The title and subtitle tells you the essential story; Ehrman suggests that Jesus was understood first as Jewish itinerant teacher from Galilee; only later did his disciples claim he is divine. How much time goes by he does not say, but apparently he thinks in some circles it happened early even though it took centuries for the language to be worked out in church councils. Accordingly, Jesus didn’t regard himself as divine in any sense, nor did his earliest disciples. Jesus was, in fact, an apocalyptic prophet who announced the end of the current evil age. He did believe and describe himself as the coming king of God’s future reign, the Messiah of God. Once the disciples came to believe that Jesus had conquered death and was exalted to God’s right hand, they came to hold to his divinity. It is an important new book, some say his most significant book to date. The book is published by HarperOne, an imprint of Harper Collins. Interestingly, when Bart’s book was being prepared, someone got the idea to commission a group of other scholars to respond to the book. This happened at Zondervan, which is now part of the Christian Publishing Group of . . . yep, Harper Collins. Nice stroke. Both ways, they win. “Heads, I win. Tails, you lose.” So editors at Zondervan appointed Michael F. Bird of Ridley College in Melbourne, Australia to edit the book, and he assembled an impressive group of internationally recognized scholars to answer various aspects of Bart’s book. 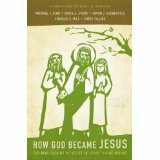 Their book is entitled How God Became Jesus The Real Origins of Belief in Jesus’ Divine Nature. 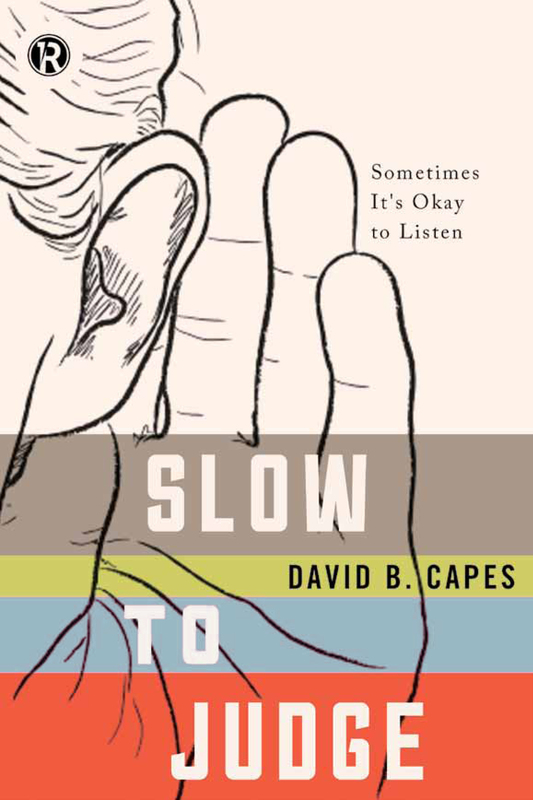 On the cover it also says it is “a response to Bart D. Ehrman.” The scholars Bird assembled include: Craig Evans, Simon Gathercole, Charles Hill, Chris Tilling. Each scholar takes on a different challenge. For example, Craig Evans addresses the question of burial practices at the time of Jesus. Ehrman claims Jesus was not buried; instead, in keeping with what happened with other crucified persons, Jesus’ corpse became food for scavengers. If there was no burial, there could be no empty tomb, so those traditions must have been invented by early Christians convinced Jesus somehow conquered death. Professor Evans presents evidence that crucified people were occasionally buried and makes the further claim that Jesus must have been one of them. This is the way it goes. Point. Counterpoint. Both books make an important contribution to the study of early Christianity, in particular how early Jesus’ followers came to regard him as divine. In the history of the west and of the Christian church this may well be one of its most significant chapters. November 12, 2014 5:33 pm / 1 Comment on Was Jesus Married? 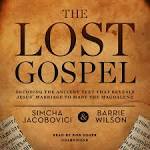 There is no credible evidence from contemporary sources that Jesus was ever married. But let us suppose there was married. There is no shame in marriage. The Hebrew and Christian tradition affirm the goodness of marriage as an institution ordained by God. Being married is no sin nor does it disqualify a person from God’s service. Likewise there is no shame in having children. Again, both Hebrew and Christian traditions affirm that children are a blessing from the Almighty! I am no systematic theologian, so I don’t mind being corrected on this, but I see no point of doctrine that would be compromised if it could be proven that Jesus of Nazareth married. Still there simply is no evidence from historical sources that he was.